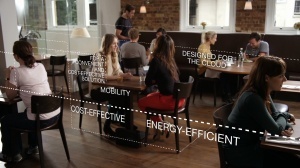 App4Food’s core features can be customised to provide a unique App for each business. The App provides a lot of features, people can reserve tables online or when mobile, look at menus, see a picture gallery of the restaurant and view directions to the venue. They can also place orders for takeaways and receive confirmation in real time. The restaurant can also offer their customers digital loyalty and discount cards through the App using QR codes to capture details and earn loyalty points. The App can be used for marketing in a number of different ways for example: push messaging, email or SMS promos, also offering customers individual discounts for their loyalty, birthdays and anniversaries. App4Food spent 18 months creating the App, working with a number of pilot restaurants and takeaways to fine-tune it. One of the interesting things to come out of these discussions was that restaurants wanted a better way of letting the kitchen know of orders. An extensive search found only two printer models that fitted the bill. What’s more, one of those needed a separate USB modem. This made it a cumbersome solution. “As an increasing number of uniquely identifiable objects are being represented by different technologies in an Internet-like structure or in other words the ‘internet of things’, we were surprised to find only one supplier fitted the bill with their Epson Intelligent range. We were pleased to go with Epson as its printers are easy to use and familiar to people working in hospitality so we anticipated that customers would need little or no training. Also, kitchen and restaurants are not ideal places for sensitive technology but the Epson kit is robust and would be able to cope with this demanding environment," continues Ian. 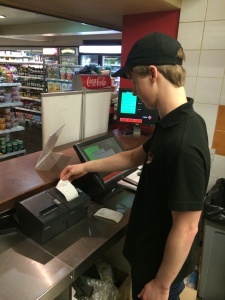 The printer’s internet connectivity capabilities allow Ian’s team to use simple XML commands to remotely alter the format and contents of the receipt for each restaurant. It also means that the printer can coordinate orders. Each restaurant and takeaway has a printer installed that continually polls for orders. When an order is received, this is displayed on the printer, which immediately produces a receipt for the kitchen staff. The restaurant manager needs to manually accept or reject each order – using a tablet, PC or smartphone – to ensure they can keep up with demand and advise people if orders might be delayed. Many restaurants already use App4Food and the printers have worked faultlessly. And, with the till roll changed by simply dropping it into a drum and an interface that’s easy to use, people have had no issues in working the printers. 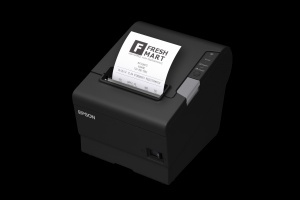 App4Food is also working with Epson to customise the printer’s display to make it easy to process the orders without using a tablet or smartphone. Instead a USB keyboard will be all that’s needed. This option will appeal to smaller takeaways looking to keep their costs down. In addition, Ian’s team is piloting a front-of-house App for restaurants. 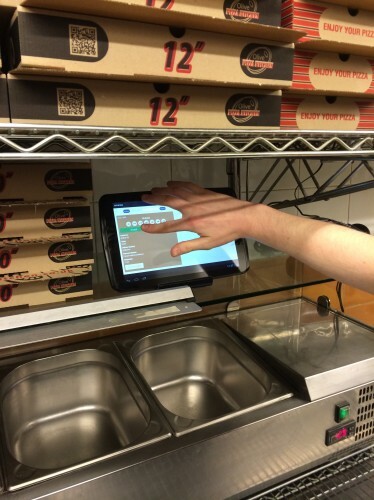 Waiting staff use tablet PCs to take orders that are wirelessly sent to a TM-T88Vi printer. It can also act as a network hub and connect to other Epson printers so that food orders can be sent to the kitchen and drink orders to the bar for printing and completion by the relevant teams. App4Food is starting to gather momentum. The ‘App4’ concept is also being prepared for other markets as well as working with industry and membership groups within the food sector, such as a recent partnership with the British Curry Club, making the power of the App available to many other independent businesses.